I've been talking a lot about skincare lately and it's gotten me thinking about the health of my skin as a whole. Your skin is actually a really good indicator of your overall health, so dryness, dullness and other skin issues are definitely not something to be overlooked or covered up. 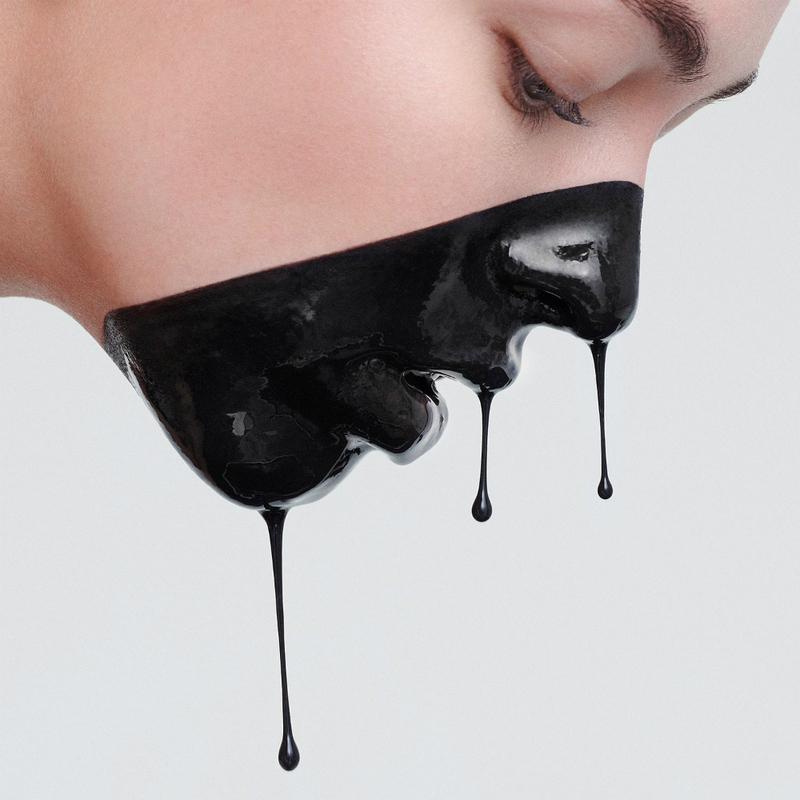 Don't get me wrong: I love creams and masks, but there's only so much topical treatments can do for your skin in the long-term. Now I'm focusing on getting a healthy glow from the inside-out by making sure I'm getting all the nutrients my skin needs. In my past wellness diary posts, I focused on the importance of exercise, and spoke a bit about moderation when eating unhealthily; the focus of this post will be healthier eating options. Remember, I'm totally clueless when it comes to nutrition. I eat out daily and am a proud french fry connoisseur. I do love the idea of health and nutrition, but in the end, I reach for comfort foods almost every time. So, is there a balance that can be struck? Long Beach chef Ella Calderon fixes an array of colourful ingredients. Photo from UO Blog. 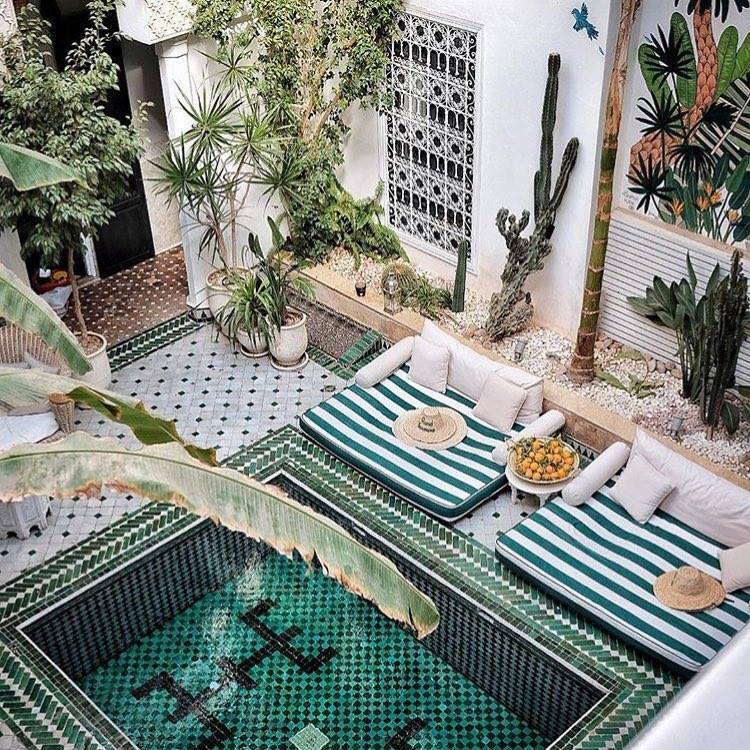 It doesn't have to be boring! 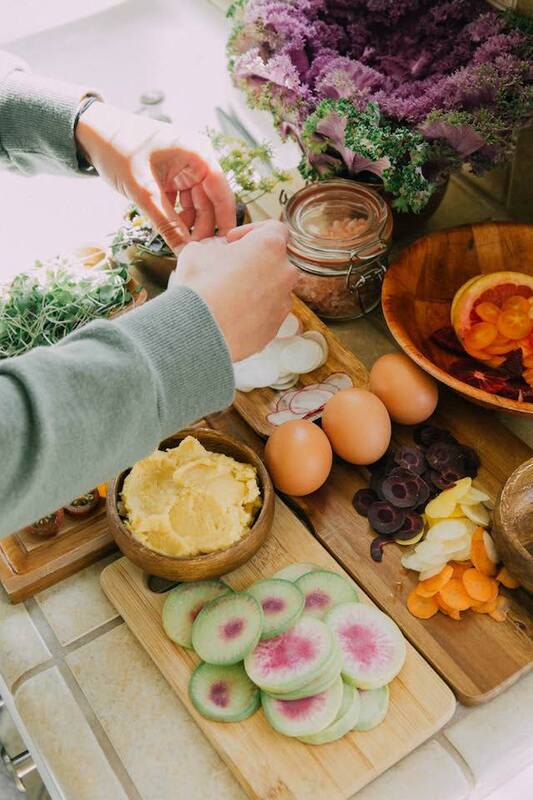 In an interview with Urban Outfitters Blog, Long Beach chef Ella Calderon shares brunch recipes that can only be described as beautiful and packed with nutrition. 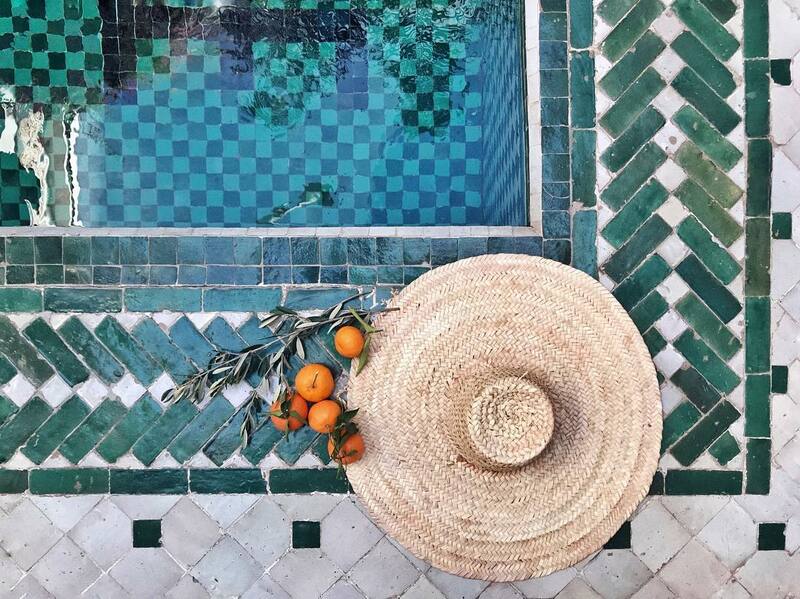 I really recommend that post, because even if you're not a fan of her sparkling grapefruit and rose water drink, you won't be able to deny any longer that healthy food has the potential to be colorful, vibrant, and delicious. Think about the kinds of flavors you love; becoming accustomed to healthier meals is a matter of finding the dishes you love, and creating those tastes in a healthier way. If you're like me, you will need the most basic tips for simple and easy transitions to healthier options. Luckily, lifestyle and food bloggers have us covered. Each and every night, I have sugar cravings right before bed. Imagine how much more fulfilling it would be to whip up pancakes using ingredients like oats, banana, strawberry jam and coconut flakes instead of reaching for a handful of snack-size chocolate bars, which offer very little in the way of actual hunger fulfilment. 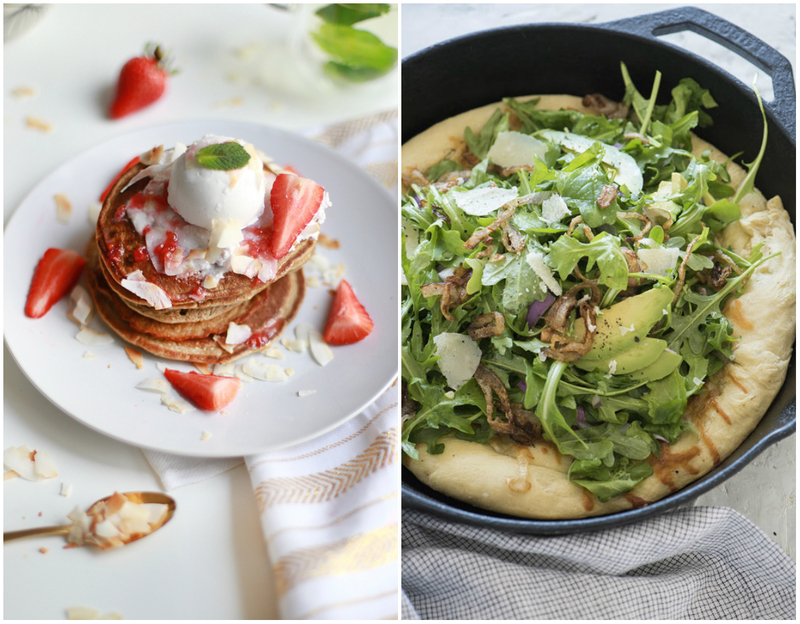 Try this Guilt-Free Strawberry Coconut Pancakes recipe by the lovely Kate La Vie for your next sugar fix. The second recipe I'm totally on board with is for something that I (and so many others) can absolutely never resist - pizza. Design Love Fest created a homemade, cast-iron skillet version of the tempting dish using powerfully healthy ingredients like avocado, red onion, and arugula. It's a way better option than delivery if you can't resist a cheesy pie this weekend. Of course, you can find a healthier version of practically any food, but what if you don't have the time or energy to cook? Even with well-thought-out food plans and a fridge full of fresh ingredients, sometimes you just want a snack. Here are a few ways to eat healthy on the go. Photos from Kate La Vie and Design Love Fest. 1. Fresh Blueberries and strawberries make a sweet snack alternative to sugary treats. 2. Sandwiches packed with double-the-veggies, like tomatoes, onion, peppers and lettuce can never go wrong. 3. Rice is such a great impromptu meal option, because it's quick, low-cost, and can be mixed with veggies and poultry/meat for protein and nourishment. Recipes also vary wildly, which offers variety. 4. Bananas are great on the go, in a bowl on your desk or in your bag. Grilled Chicken BBQ Salad - A salad that will actually leave you satisfied. A Week Of Healthy Breakfasts - These can be prepped in advance! Summer Fruit Salad - This colorful salad from Honestly YUM is so pretty and festive! Grilled-Cheese Salad - Another colorful salad, this one with chunks of grilled cheese. Honey Hi's Five Principles Of Eating Well - Some Healthy Eating Tips from an L.A. based cafe. What's your fave healthy recipe? I'd love to hear below! As I write this, it's currently thirty-four degrees (ninety-three Fahrenheit!) and I am melting. I am so ready for autumn, but summer style still has me. Feeling the same way? 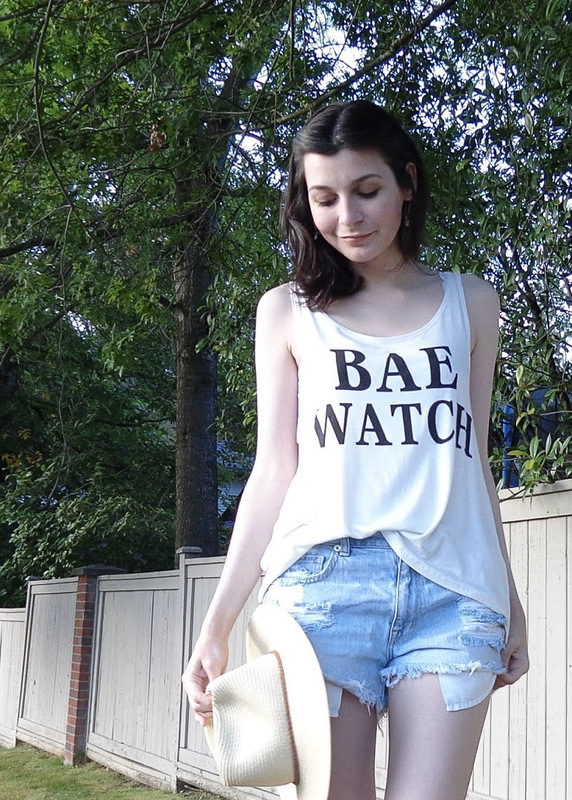 Well, I've rounded up five height-of-summer links to keep you cool. Read on below! 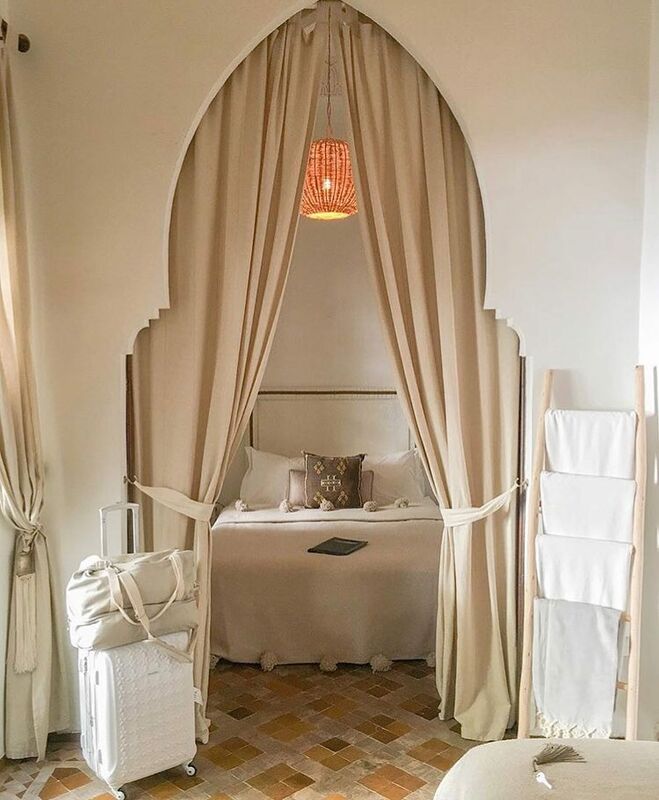 Le Riad Yasmine is an eight-bedroom luxury boutique hotel in Marrakech, Morocco, and the perfect place for an impromptu end-of-summer escape. 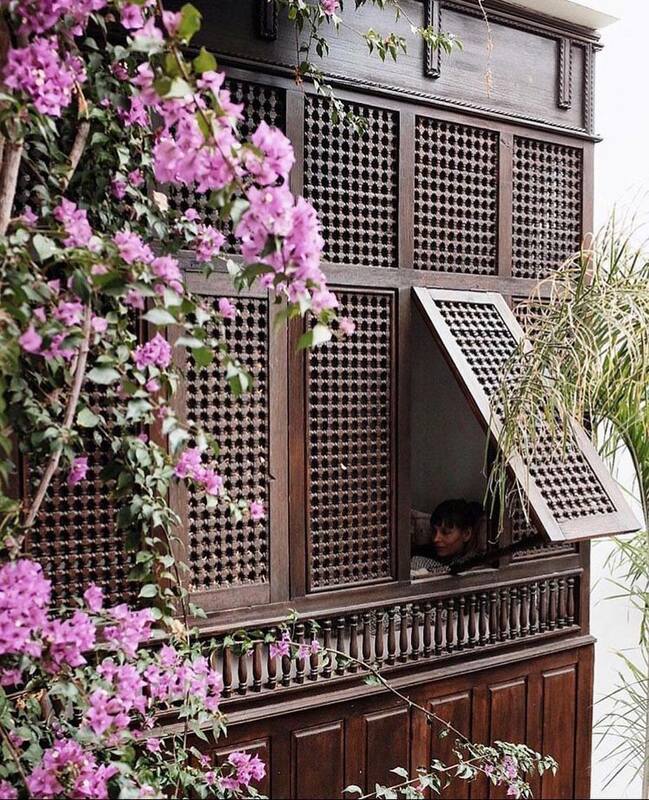 Like the Riad Jardin Secret, this beautiful hideaway is located near the bustling Medina of Marrakech. 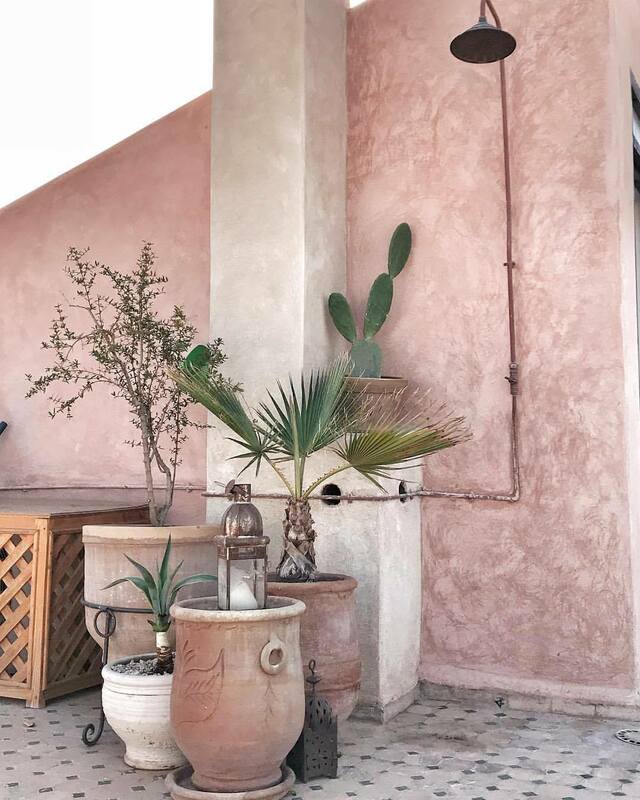 The hotel was purchased in 2015 by Gabriel and Alice, who are originally from the south of France. 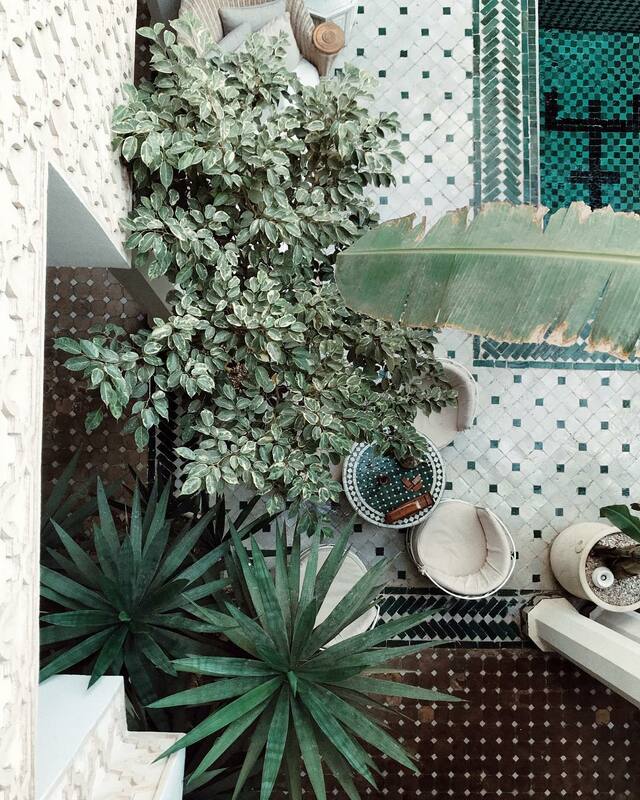 Since then, the duo have been transforming the hotel into "a green paradise, an urban jungle". 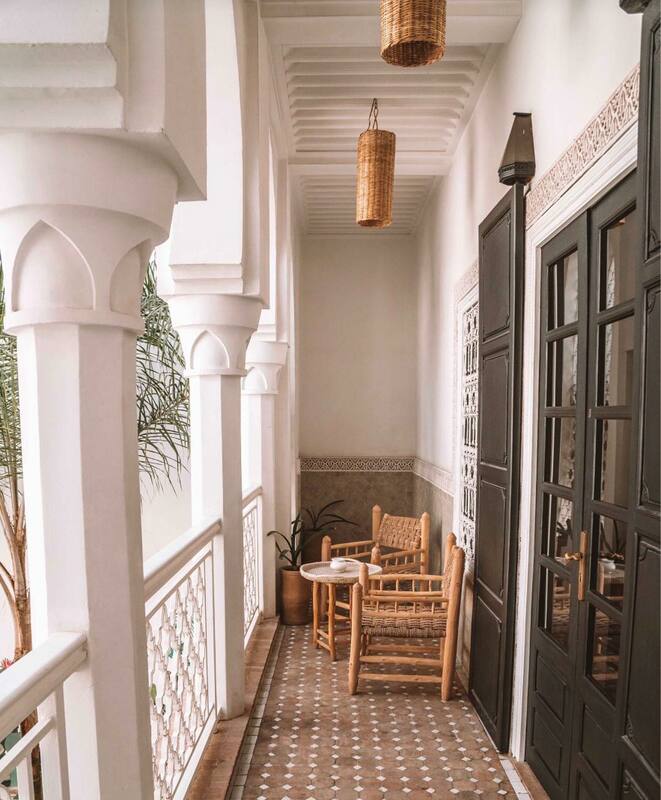 Boasting a beautiful rooftop terrace, fresh local cuisine, and a stunning azure pool area, Le Riad Yasmine is a place of relaxation. 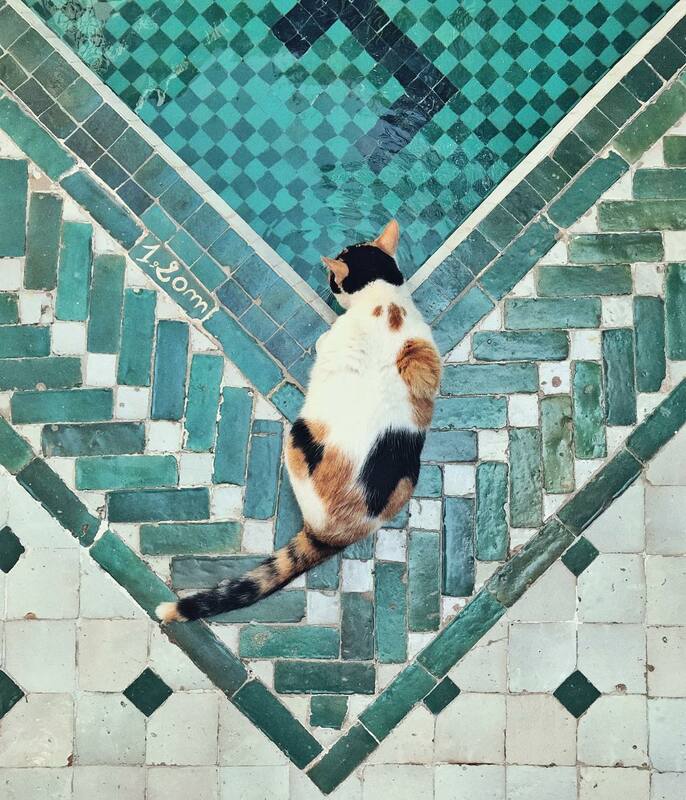 If you visit, be sure to say hello to the resident cats, who can often be found lazing by the pool. 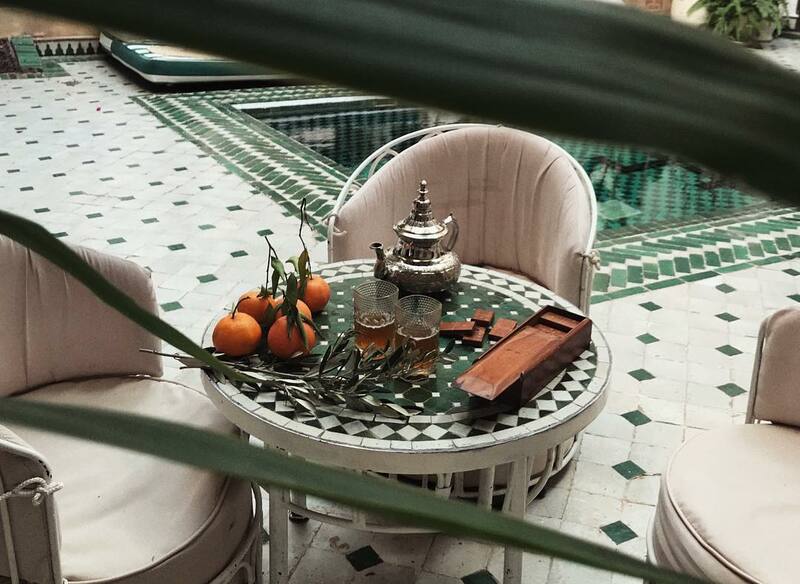 Find your paradise in Morocco at Le Riad Yasmine. 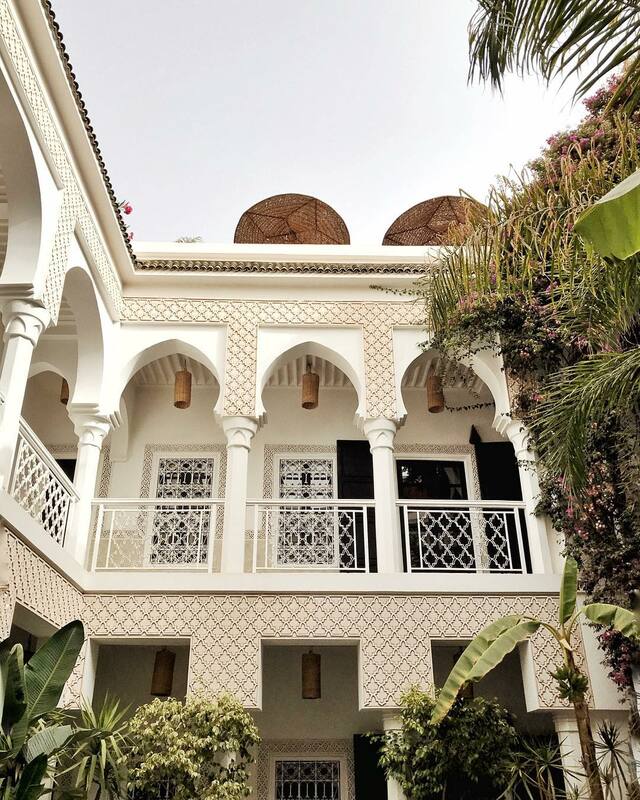 Does lounging by the pool at this hotel look like your dream vacay? 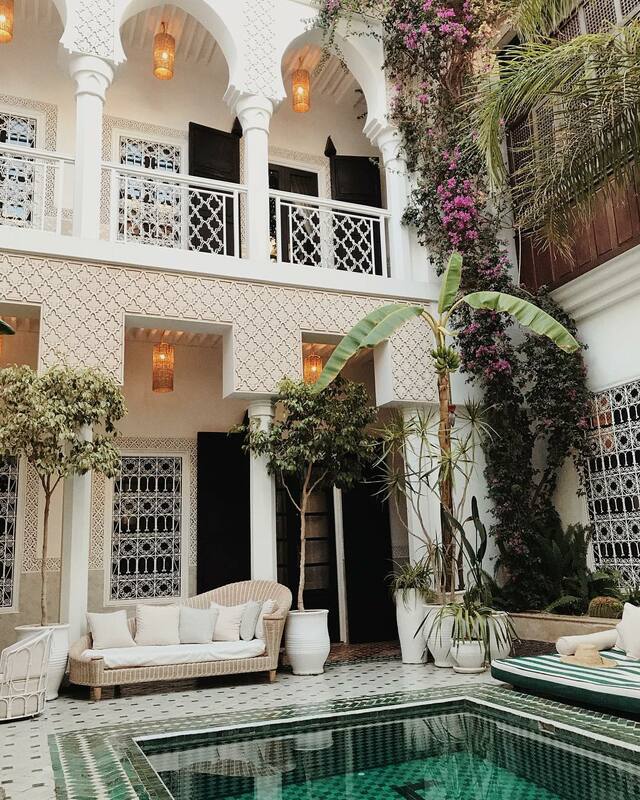 Would you stay at this Moroccan getaway?